Composite Cans: 1001 Applications | Canfab Packaging Inc. The process of storing food in containers goes back thousands of years to ancient civilisations. In modern times, it is Frenchman Philippe de Girard who is credited with the invention of the tin can, and British merchant Peter Durand who patented the concept in 1810. While tin cans are still a staple on most grocery store shelves and are widely used to seal and preserve liquid-based foods of all sorts, the king of the food aisle for advertising, storing, and dispensing dry goods is arguably the composite can. 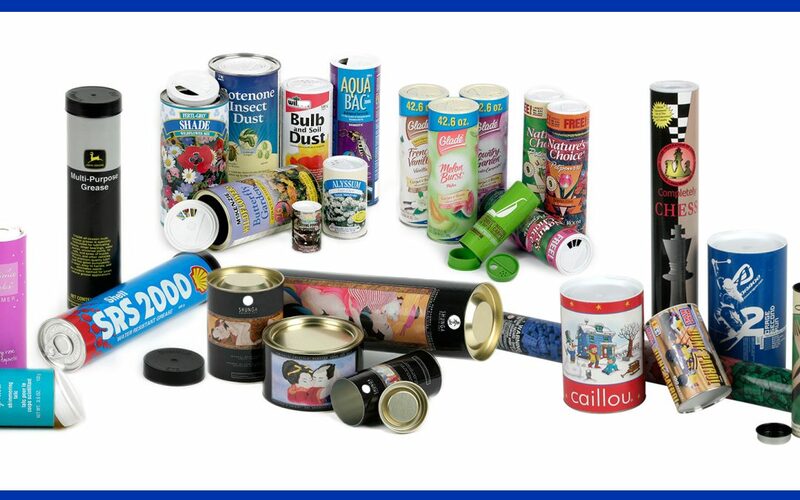 Unlike tin cans, boxes, or bags, composite cans are used for a wide variety of practical purposes in many different food and non-food sectors. Visit the Possibilities section of the Canfab website to discover how composite cans are used to package expected products such as nuts, powders, sugar, salt, coffee, and snacks, but also to package some rather unexpected products. Moose in a can, anyone? Composites are great for packaging products such as cosmetics, toys, cleaning solutions, oils and greases, lawn care chemicals and even wines and spirits, just to name a few. The various container sizes/shapes, top/bottom configurations, seals, and labelling options available on composite cans are virtually limitless. From your youth playing with modeling clay from composite cans to your adulthood using perfume packaged in a classy can, composite can were ubiquitous. Are you a gardener? Many grass seeds, plant fertilizers, and dry weed control agents use composite cans as THE packaging of choice because of their “hand-friendly” shape and easy-to-dispense capabilities. Alcoholic beverages your go-to for a pick-me-up or a dinner gift? While not dispensed in composite cans, they are often gift packaged in a can to stand out from the crowd on a busy retail shelves. Imagining your product in a composite can? Call us today at 1-888-5-CANFAB or email us at info@canfabpkg.com for a quote and discover how Canfab can do wonders for your product with our simple but highly effective packaging solution.